Good day to you. If you follow me on Twitter (@GFDougie via https://twitter.com/#!/GFDougie), you know me to be very Nutrition-conscious and Health-minded in regard to what a celiac diet should be. If you are into more wholesome, organic produce choices for your celiac diet, a cheaper alternative to the grocer is the farmer’s market. Buying from locally grown vegetable/ fruit markets supports your local economy. The benefit to you is “natural.” Buy in-season vegetables and fruits at these markets at “rock-bottom” prices and save yourself some money. Corn on the cob and lima beans can be transformed into fried corn or succotash. You can use gluten-free bread and make breaded tomatoes. Heck, you can even use an All Purpose Gluten-free Flour blend and make … fried green tomatoes! How about fresh-snapped green beans and mashed potatoes? What about stuffed bell peppers with rice, beef, and gluten-free seasonings! The choices for menu options are endless. Let’s go back to the Grocer, and Frozen Foods, and see how easy this can be for the celiac diet. Again, the ingredient list is not hard to comprehend: peas, corn, onions, green beans, cauliflower, broccoli, etc. Not much to read there, right? How many meals can you make with so many combinations? Almost endless, I think. You can make stews, soups, casseroles and many more things I’m not thinking of at a fraction of the cost of fresh produce. Side dishes made with these items are even more unlimited! If you are not vegan, other stress free celiac-friendly departments at the Grocer are the Meat and Seafood departments. Obviously chicken, turkey, pork, and seafood are more healthful than beef. 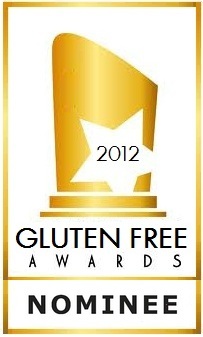 But, with moderation, all can be included in a celiac diet at no risk of ingesting gluten. The bottom line – instant, boxed, or microwaved entrées and other food items are not as nutritional. Cook from scratch and know what you are eating. The burden is upon you on how nutritious you are. 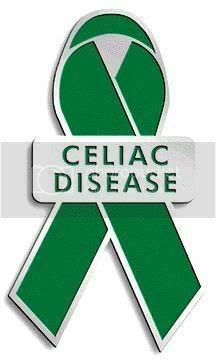 Research, educate, and advocate all celiac and gluten-free – and Irritable Bowel Syndrome (IBS) Awareness in April.